I’ve seen numerous cases of customers who came to me because their horses were exhibiting behavioural problems. Often, the saddle fitter is the last port of call for these owners following assessments from veterinarians, farriers, massage therapists, and other industry professionals. 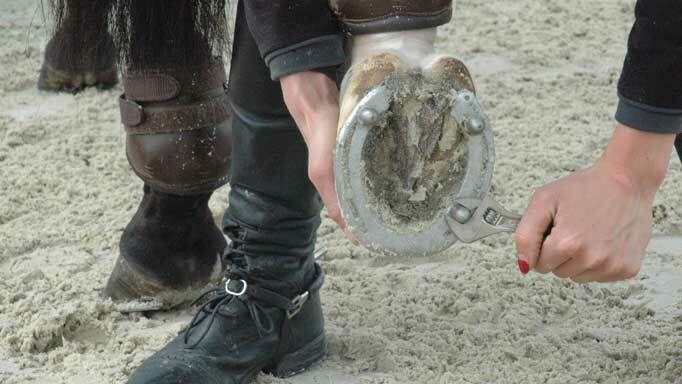 These assessments may reveal vague nonspecific findings which do not match with the level of behaviour seen in the horse and owners are forced to examine their saddle as being the potential culprit. One excellent example was when I was called out to have a look at a professional’s horse. When assessing horses who compete at a high level, I always expect to see horses happy in their work and typically very strong in their backs. But this particular horse was very reactive, especially through his mid- to lower back during his assessment. As it turned out, the rider had been recommended a saddle with a tree much too straight for her very uphill horse’s back, which sat like a plank on his top line, tipping the rider out the back. The rider explained that the normally good-natured horse had become more and more hesitant since being fitted with this saddle, to the point where he was very reluctant to do the work anymore. I convinced this extremely skeptical rider to try another saddle model, one equipped with a tree which followed the curve of his back much more closely and allowed her to sit up naturally without effort and right at the base of the horse’s wither. Midway through her first ride in the saddle, she tearfully exclaimed that she felt she had her horse back! This marvellous (and very forgiving) horse went on to have many more grand prix placings with a happy, sound back. I was called out to look at a horse who had been jumping happily and successfully, but had recently been stopping at fences that would never have previously been a question for him. On examination I found a good-natured gelding with a pronounced sore spot just behind the area of the stirrup bar. When I checked the saddle, the foam panel had compressed through the twist and the stirrup bar was palpable through the panel. The rider was shocked to see how the foam panel had collapsed and opted to have the panels changed to wool stuffing. Shortly after making the change, the horse’s behaviour (and jumping) returned to normal! The issue of asymmetry with horse and rider can be debilitating to both and can lead to difficulty in sitting in balance, picking up and holding correct leads, maintaining the correct bend and executing even the simplest movements. It can also create considerable soreness for both horse and rider. Asymmetry is caused by a multitude of potential factors in either horse or rider including training (and muscle development), injury (and associated weakness), and even congenital abnormalities. An example of my experience with this problem was a high-level amateur competitor whose horse, a lovely seven-year-old warmblood, was not progressing as expected. The horse was extremely right-dominant and to make it worse, so was the rider. At this point the rider could not focus on any other aspect of her ride other than staying in the middle of her horse’s back. Over the course of a year and with frequent saddle fittings including small panel adjustments, I was able to return the saddle to a neutral position. 1. Keep it simple. 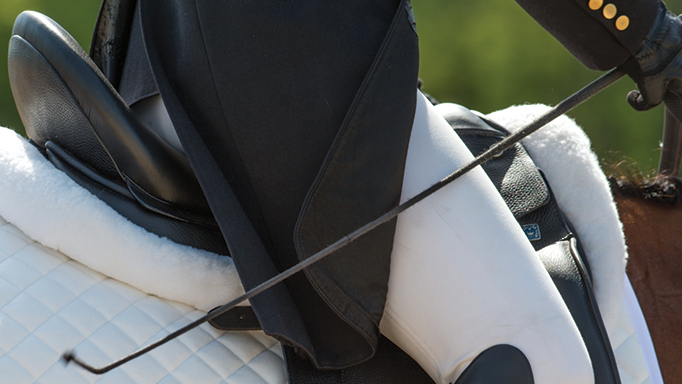 Choose a saddle that is suitable both for horse and rider from day one. 2. Choose adjustability, both in the tree and the panel. Horses change! This allows the saddle to remain suitable for the horse in the long term. 3. Make a saddle fitter part of your regular team of trusted professionals. 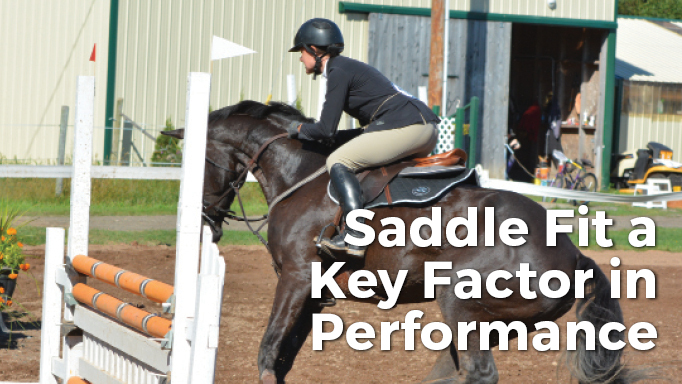 A trio of Canadian experts divulge their most common saddle fit issues and how to fix them. 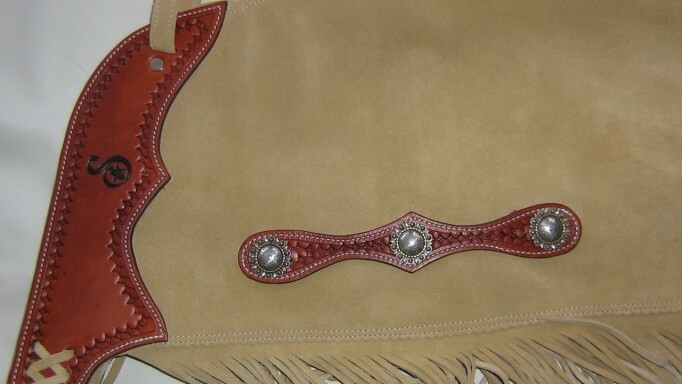 Spiff up your riding wardrobe with a custom pair of chaps.